Known as the island of eternal spring, Fuerteventura, just like the rest of the Canary Islands, is a favorite among travelers. Positioned southwest of Lanzarote and east of Gran Canaria, the second largest among the group, boasts of the best and the most extensive white sand beaches and the most playful Atlantic waves. With tourism at the forefront of its economic growth, the island has gradually seen transformations of some of its sleepy seaside suburbs into bustling resort towns. But what sets it apart from its neighboring islands is the number of quiet and unspoiled traditional villages where time seems to stand still. 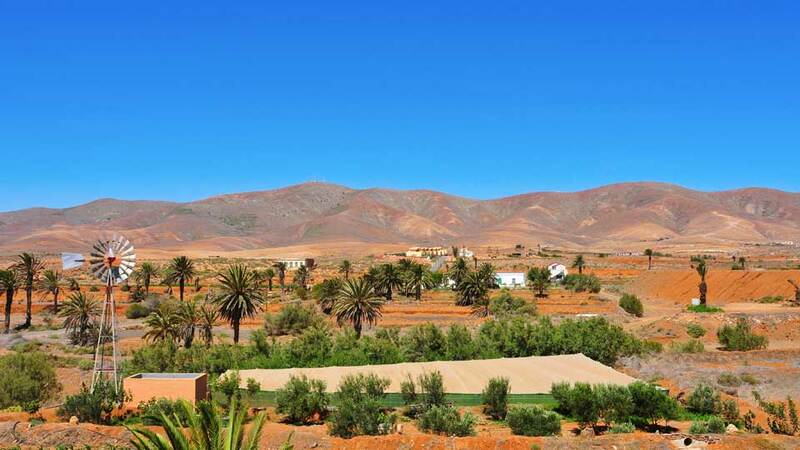 Complete with the most popular tourist destinations at its northern and southern tips as well as its historical and scenic center, Fuerteventura offers a lovely warm sanctuary away from the harsh winters of Europe. Visitors feel at home in its Spanish colonial traditions and alive in its sunny African coasts. The northernmost part of the island is where we find the municipality of La Oliva. 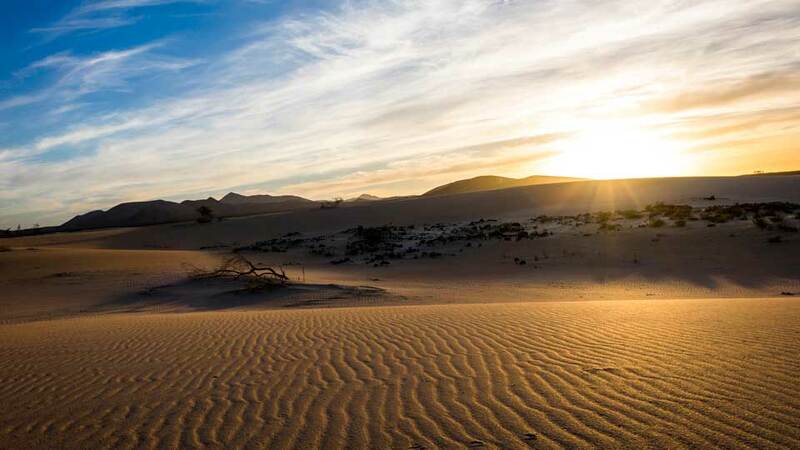 Step into Corralejo, its biggest town and home to the famous Corralejo Natural Park and Corralejo Sand Dunes. The prominent resort town continues to attract thousands of beachgoers yearly with its shape-shifting sand and windy beach. Guests who love watersports have the time of their lives kite surfing and windsurfing, while others enjoy boat and trike tours. Northwest is the town of El Cotillo, equally popular for its breathtaking beach. Inland, we find some of the most notable architecture in La Oliva. Admire the historic Casa de Los Coroneles, former house-turned-museum of the island’s governor. Further down, discover the pagan past of the Majoreros in the holy mountains of Tindaya. Meanwhile, across the waters in the northeast is the striking Lobos Island. The charming island is also part of the municipality and nestles endemic flora and fauna. The mostly flat geography of the island’s center covers the municipalities of Puerto del Rosario, Bentacuria, and Antigua. Puerto del Rosario is the island’s current capital and cradles its most important port. In the west, we travel back in time to the ancient capital of Bentacuria, known for its historic buildings and mesmerizing mountain views. When in town, visit Museo Arqueologico de Betancuria to get a closer look at artifacts from prehistoric times. But for guaranteed visual treats, feast upon the majestic sights at Mirador Morro Velosa or Mirador de Guise y Ayose. Both lookout points offer some of the best views of the island’s high and low terrains. Journey to the East at the municipality of Antigua, where a mere 8-mile drive from the airport reveals the tourist town of Caleta de Fuste. After hitting the beach, take cover at the quaint Iglesia de Nuestra Señora de Antigua or explore the interesting Salt Museum. 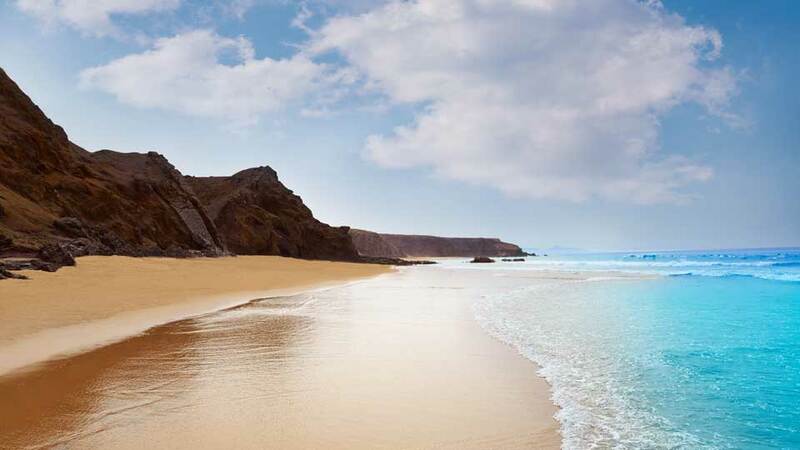 The municipalities of Tuineje and Pajara make up the beautiful southern coast of Fuerteventura. Tuineje is known for livestock and agriculture, so for a complete town experience, do not miss a chance to taste the Majorero cheese, with a designation of origin. But more importantly, the municipality is known for its seaside capital, Gran Tarajal. Fancy a tranquil, dark sand beach? Hit the clear blue waters of Playa de Gran Tarajal in the southeast. We end our trip in the long coastlines of Pajara. Enjoy adrenaline pumping activities in Costa Calma and Playa de Sotavento. Both are havens for wind surfers, kite surfers, and other water sports enthusiasts. But for a more adventurous day at the beach, drive to the black sand shores of Playa de Ajuy and trek into the mystical volcanic Ajuy caves. Further to the west, through nerve-wracking dirt tracks is the virgin beach of Playa de Cofete. For a nature retreat, explore the Jandia peninsula at the southwest of Pajara. And finally, indulge at the gorgeous beaches at the foot of the Jandia Natural Park, the Jandia Playa and Morro Jable. Frequented by Germans, the latter showcases a picturesque old seaside town vibe with its nostalgic lighthouse and fine golden sand beach.